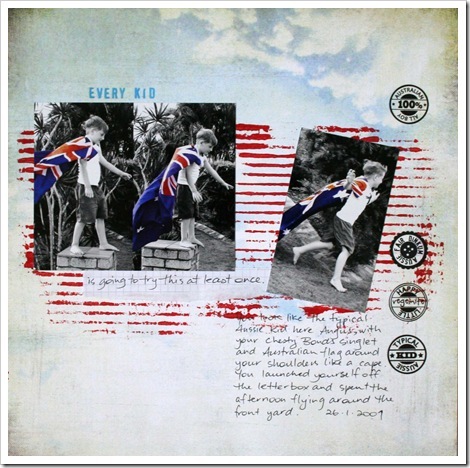 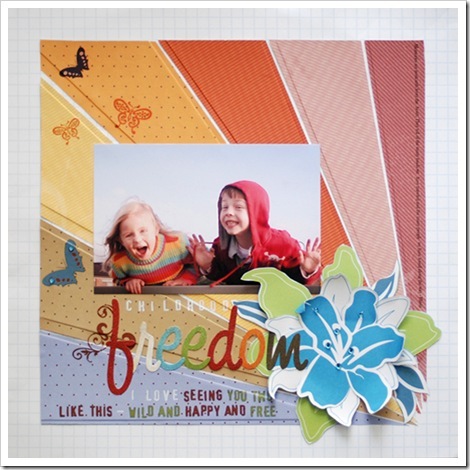 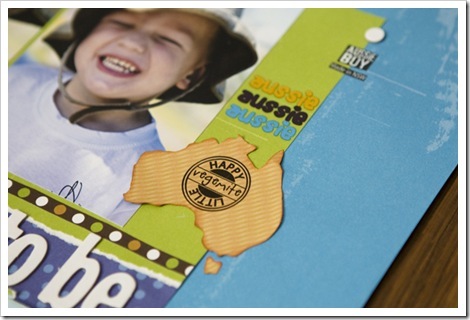 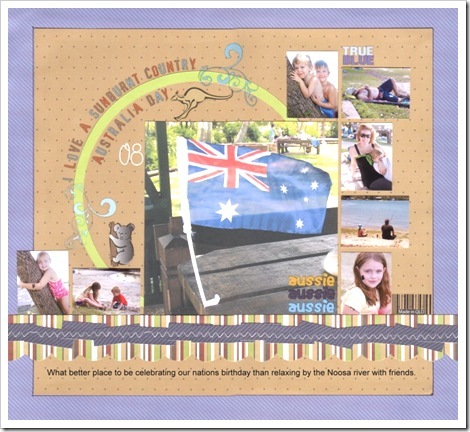 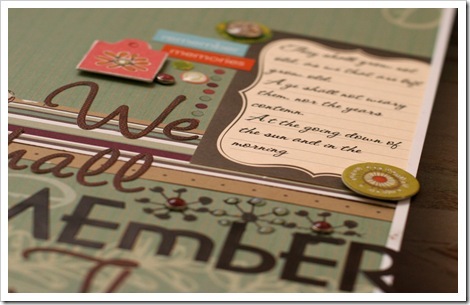 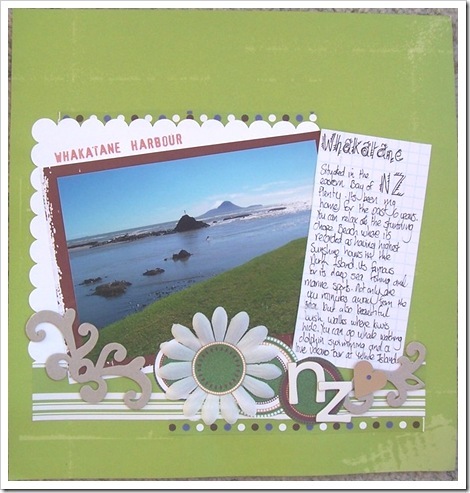 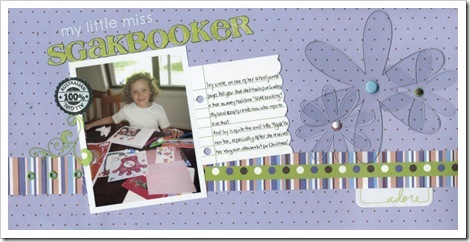 We wanted to celebrate National Scrapbooking Day in a very Down Under style ('down under' includes New Zealand, right?) 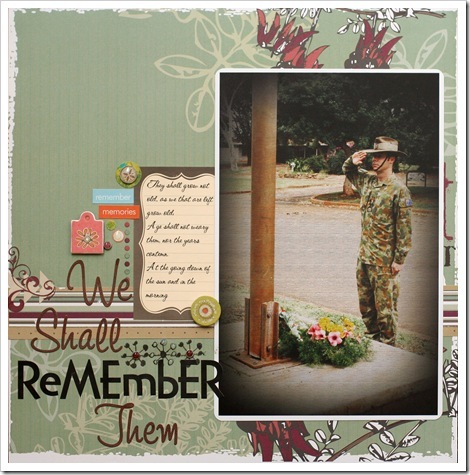 and so we put out a call. 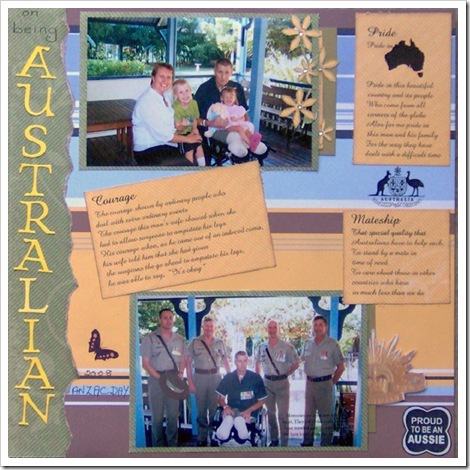 Using our own fabulous Been There Done That papers, our contributors share with us what it means to be Australian, New Zealanders, scrapbookers, to be young and free, to be courageous. 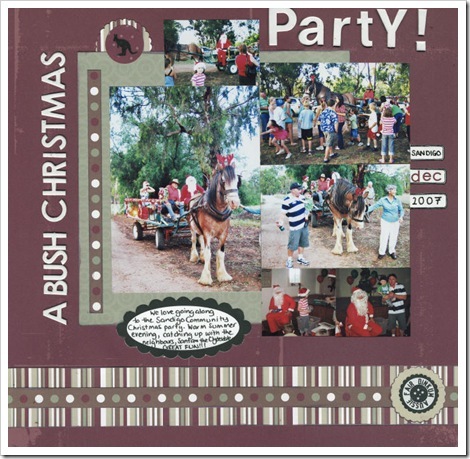 This is the result - and we thank everyone who responded to our last minute call!